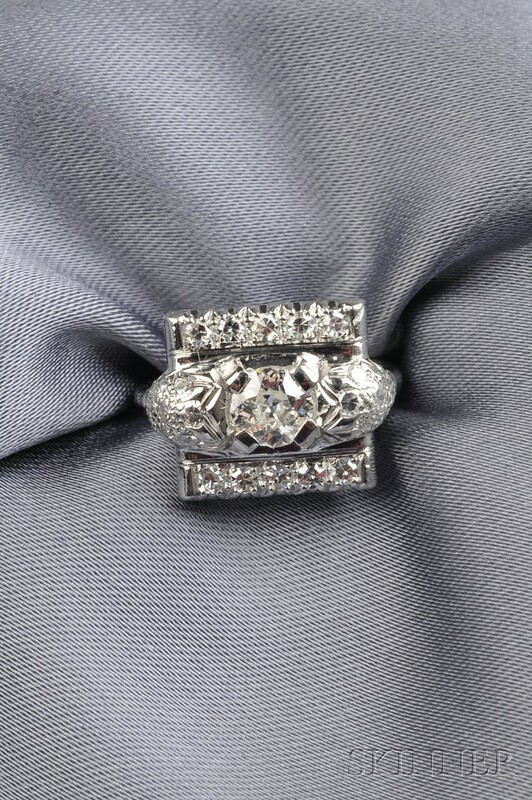 Platinum and Diamond Ring, set with an old European-cut diamond framed by single-cut diamond melee, approx. total wt. 0.80 cts., 6.2 dwt, size 4 1/2. Center OEC approx. 0.40 cts., but with numerous girdle chips.